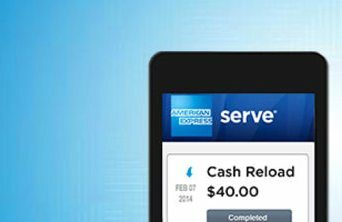 News You Can Use – Free Uber Ride, Save $75 at Hotels, Last Day to Load Serve With Non-AMEX, & More! Via Doctor of Credit, when you buy $50 in Applebee’s gift cards at Target, you’ll get a free $10 Target gift card through April 18, 2015, at 11:59 pm Pacific Time. And you get 5% off purchases at Target with the Target Prepaid REDcard. Folks report this discount works doesn’t always work online, but it seems to work in-store. 2. Do You Have a Samsung Galaxy S6? You Can Get a Free Ride With Uber! If you have a Samsung Galaxy S6 or S6 Edge smartphone, you can get a free Uber ride (up to $25). Folks without a Samsung Galaxy phone, can still save money on Uber. When you create a new account using Emily’s link, you’ll get a free ride for up to $20! Miles Remaining writes, you can earn up to 2,500 Southwest points when you shop through the Southwest shopping portal. This deal ends May 3, 2015, at 11:59 pm Eastern Time. Returns, shipping costs, taxes, gift cards, and certain products do NOT count towards this bonus. Southwest points are currently worth ~1.43 cents to ~1.7 cents per point (though this may be changing soon!). And keep in mind, if you use a coupon you typically won’t get points through shopping portals. So do the math to see if your coupon is worth more than the points! 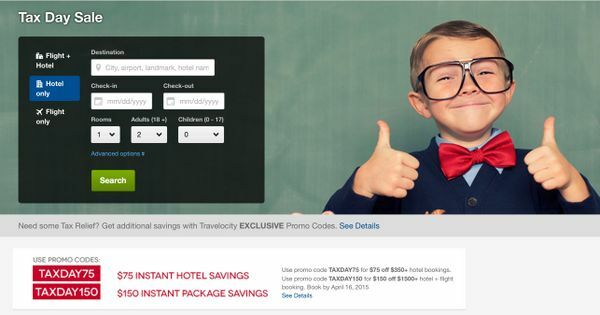 Book your stay at a participating hotel at Travelocity and you can save $75 when you spend $350 or more. Use promotional code “TAXDAY75” to get the discount through April 16, 2015, at 11:59 pm Pacific Time. Your stay must be completed by December 31, 2015, to get the discount. Most major hotel chains are excluded. That said, Hyatt hotels are eligible for this discount. So this deal might be interesting for folks who have plans for a paid stay at a Hyatt hotel, who plan to stay in a boutique hotel, or who are visiting a small city. This deal is for Travelocity rate hotels (you have to prepay for your stay). Be sure your base room price is more than $350 or the discount won’t apply. I wrote last month that AMEX Serve will only accept American Express cards for online re-loads, starting April 16, 2015. So if you need to complete minimum spending on a Discover, Visa, or MasterCard, be sure to get in your last $200 charge before it’s too late! Many folks are switching to the Target Prepaid REDcard card because you can load your account with ANY credit card at the register. Why are you featuring all these things that expired in April?